Wendy's Wellness is a new time management game, which will definitely captivate you. Fitness meets fun in this Time Management adventure to restore the city's well-being. Develop your own chain of 10 splendid fully-equipped wellness centers, serve the customers, buy new equipment and hire employees. There are different types of visitors, and each type needs special approach and attention. 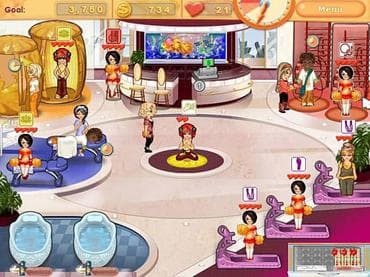 Download free full version game today and build up your own wellness center! If you have questions about Wendy’s Wellness game, please contact us using this form.